The Flare Move series of coupling relays from Wieland are highly reliable pluggable relays in compact housing with the option of gold-plated contacts if required. The Flare Move series come with 35mm DIN rail sockets with a choice of screw or tension spring style terminations, latching style release clamp and optional marking tags. 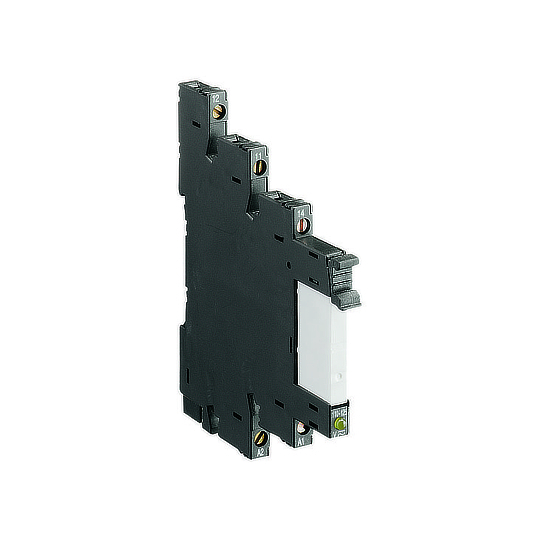 Available with 1, 2 or 4 change over contacts rated between 6A up to 16A switching currents and up to 440VAC depending on model and a mechanical life of 10 million operations.